Thursday, 11.38pm. You’re at home, sunk deep into your sofa, finally unwinding after a long day running your business. Four back-to-back meetings, two hours working on the company accounts, and a long call with a supplier who can talk for Britain. Tough day. But at least it’s over now. The calm is pierced by a violent buzz. It’s your work phone. Fumbling about, you reach for it to see an email from your star employee. She’s still working. At this hour. Are you annoyed by this intrusion as you’re dragged back into ‘work mode’? Or are you, like so many employers today, impressed with your employee’s commitment to your company? 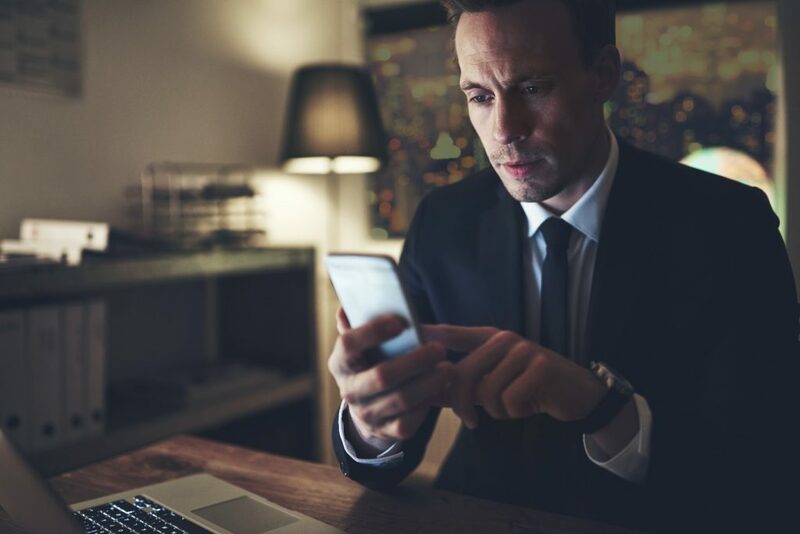 In a world of 24/7 connectivity, it’s common for business owners and employers to expect staff to deal with calls or emails outside of work hours. Usually that’s just for senior staff, but there’s a trickle-down effect, too. Employees of a lower level, particularly those who want their careers to progress, see this behaviour as the norm and copy it. You may be happy to see your staff deal with work queries at home. They’re making sure they’re on top of their workloads, offering a valuable service, and showing they care about what they do. You, the business owner, can only benefit. Right? We’re all human. So we need rest to function at our best. It’s one reason why the current Working Time Regulations say that workers should have rest periods and take annual leave. We also shouldn’t work more than an average of 48 hours a week, unless we sign an opt-out agreement. Despite there being no law against dealing with calls and emails at home, the practice still counts as work. And that carries two great risks to you as an employer. Most obvious is when staff work more than the 48-hour threshold, which could bring tribunal claims. But there’s a less obvious risk, which means it’s a much easier mistake to make. A Government inspection could rule that you should have been paying staff for their after-hours work, meaning that you could them owe years of backpay. Not only that, but by not paying those extra hours, their salaries may have sunk beneath the National Minimum Wage. And that is against the law. The potential penalty? A large fine, with your company named and shamed to the nation by the Government. There’s a limit to how much quality work people can actually do, as well as how much free time they can sacrifice. But that doesn’t stop staff finding creative to ways keep on top of it all. One relatively recent phenomenon is called leavism. Leavism is when people take annual leave, but rather than using it to take a break from work and recharge, instead they carry on working at home to catch up on their backlog—free from the constant interruptions that punctuate their day. But leavism doesn’t always reduce heavy workloads, and it can cause problems for you, too. When your people have to battle to stay on top of their workload, it can lead to a high level of employee turnover. Not only is that an inconvenience, recruitment is also expensive. And if no one shows any loyalty to you, your business may develop such a bad reputation that it puts off potential new talent. That can slow your business’s development, slashing both revenue and profits. It gets worse. We’ve all heard about burnout. You may have even experienced it yourself. Stress, exhaustion—perhaps even depression or physical pain. Burnout doesn’t just affect work. Outside interests become neglected, relationships suffer, and quality of life nosedives. Be careful of how much you’re expecting from your employees. Start by looking at whether they’re dealing with emails and calls outside work. If you find that staff are working deep into time outside their standard working hours, ask yourself why they’re doing it. Encourage them to speak openly with you or their line managers so you can solve the problem. Are they worried about what will happen to their backlog of work if they take time off to relax? Do they not trust colleagues to complete their work to an acceptable standard? If so, see if you can share the workload out equally with others or think about hiring more people. For the sake of your business’s bottom line and your people’s health and wellbeing, make sure your staff feel able to take full advantage of minimum rest periods. If possible, maybe it’s time you thought about stopping employees carrying on working once the day is done—starting with calls and emails. After all, hard work is honourable. Overwork is a danger to health.